Cheilostome sp. 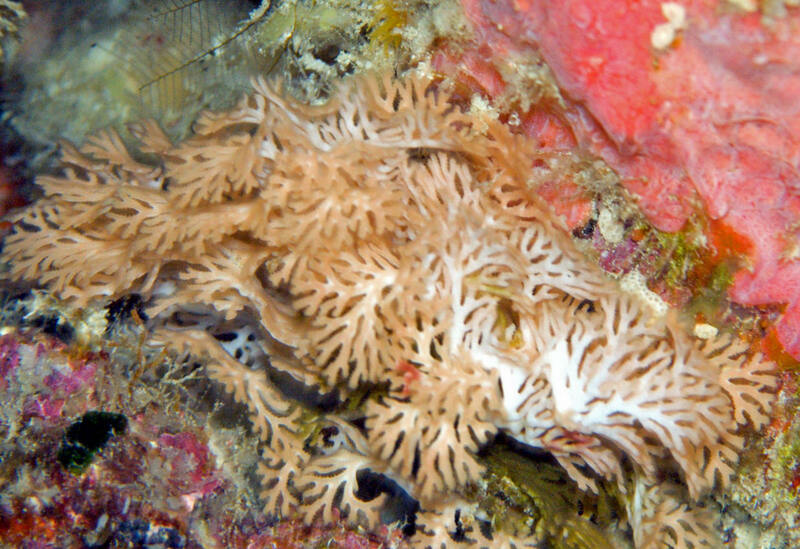 Variously colored zooecia, found mainly encrusted on dead coral skeletons and rocks in the shallows. In S. Sulawesi. Crisina radians (Lamarck 1816), the Tuning Fork Bryozoan. 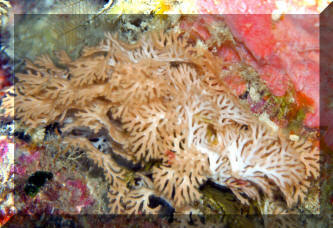 A calcareous species found on hard surfaces and seaweed blades. Ends of colonies look like tuning forks. To about a half inch across. Kona, Hawai'i. images.